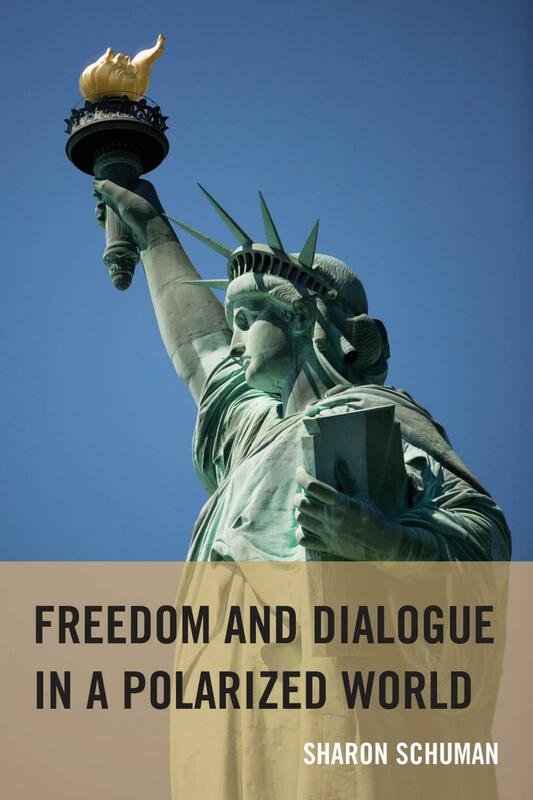 Sharon Schuman has just released a new book called Freedom and Dialogue in a Polarized World, which looks at our definitions of freedom and how they may contribute to divisions between us. 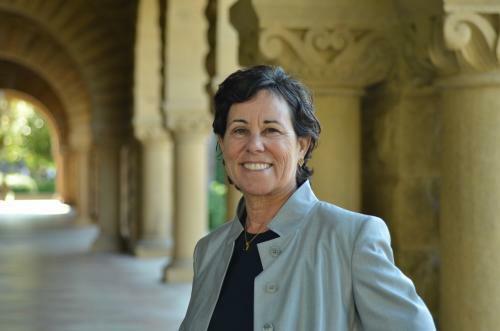 She explores that both through literature and current topics. She speaks with Eric Alan, before a book signing at J. Michael’s Books in Eugene on Saturday, March 22nd. 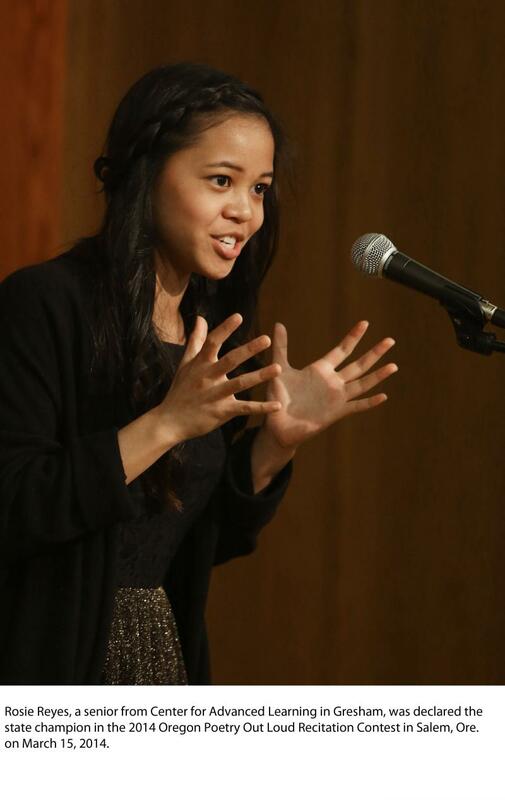 For the second year in a row, the same person has been named the Oregon Poetry Out Loud state champion. 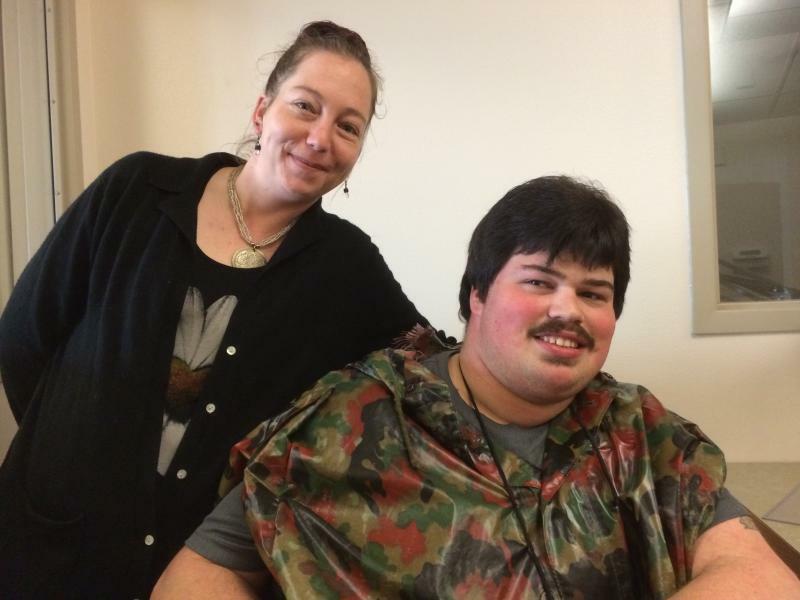 18-year-old Rosie Reyes is a senior at Gresham's Center for Advanced Learning. This past weekend she took the top honors at Poetry Out Loud competition in Salem. One of the judges called her reading spellbinding. Reyes recited "The Pomegranate and the Big Crowd," by Alberto Rios. Reyes: "Everyone gathered, her friends and his. Everyone watched. The boys, the girls, the pigs, the chickens and more." 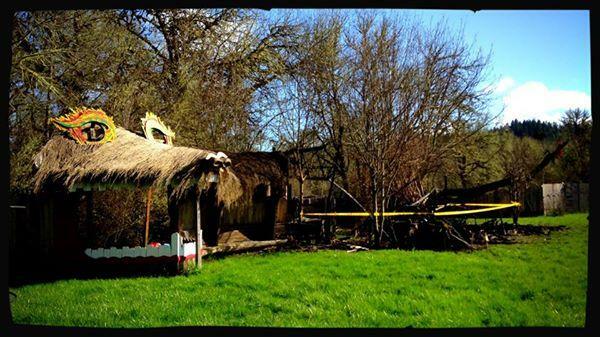 A suspected arson fire did extensive damage to a large wooden dragon sculpture at the Oregon Country Fair site in Veneta late last week. The dragon near the entrance to the Oregon Country Fair is familiar to people who've visited the annual three day festival. OCF General Manager Charlie Ruff says the dragon's head and tale are still intact but the middle of the wooden structure was destroyed. Ruff says it's a blow because the dragon is an important feature at the fair. Herb Ohta Jr., Chino Montero, and Keoki Kahumoku, along with hula dancer Christina Wong, are on tour, bringing their Made in Hawaii tour to the mainland. 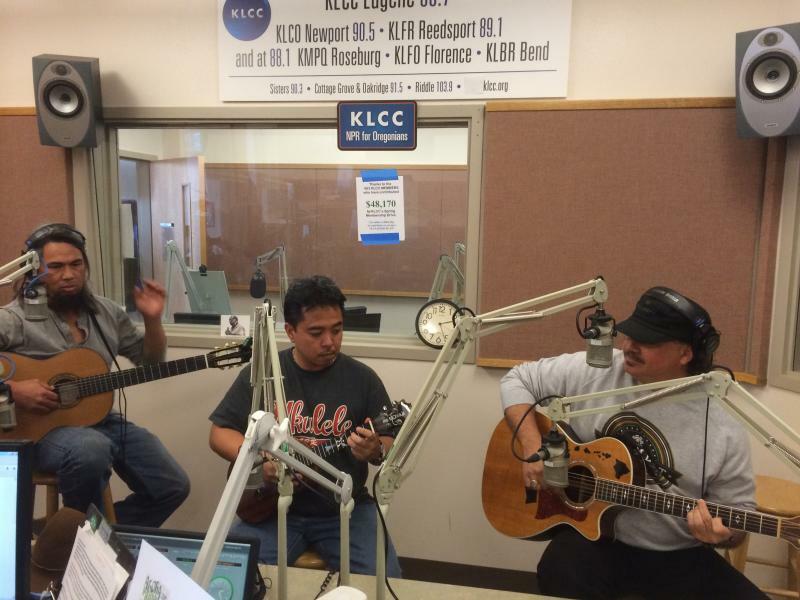 Before performing at Aloha Friday at Cozmic in Eugene, they stopped by the KLCC studios to play a few songs, and talk about Hawaiian culture, including sustainable pig farming. 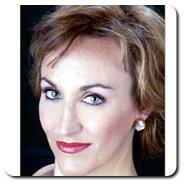 Eugene Opera presents Puccini’s The Girl of the Golden West at the Hult Center in Eugene, starring the Metropolitan Opera’s Emily Pulley. The opera is part of a larger citywide celebration of the women of the pioneer American West. Emily Pulley speaks with Eric Alan about her role, the cinematic score, and the universal themes of the Wild West. 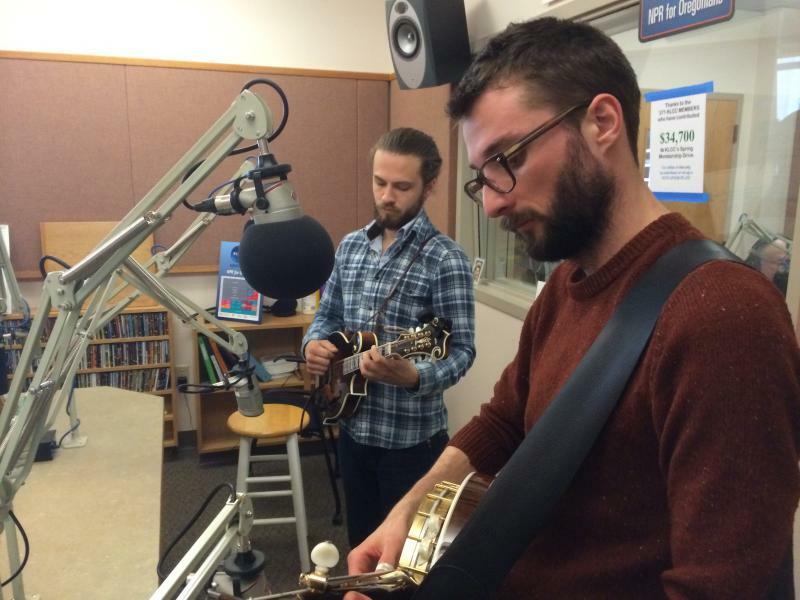 Wes Corbett and Jacob Jolliff have been playing together for a decade on banjo and mandolin, respectively, most recently in the Boston string band Joy Kills Sorrow . Jacob Joliff also won the National Mandolin Championship in 2012. 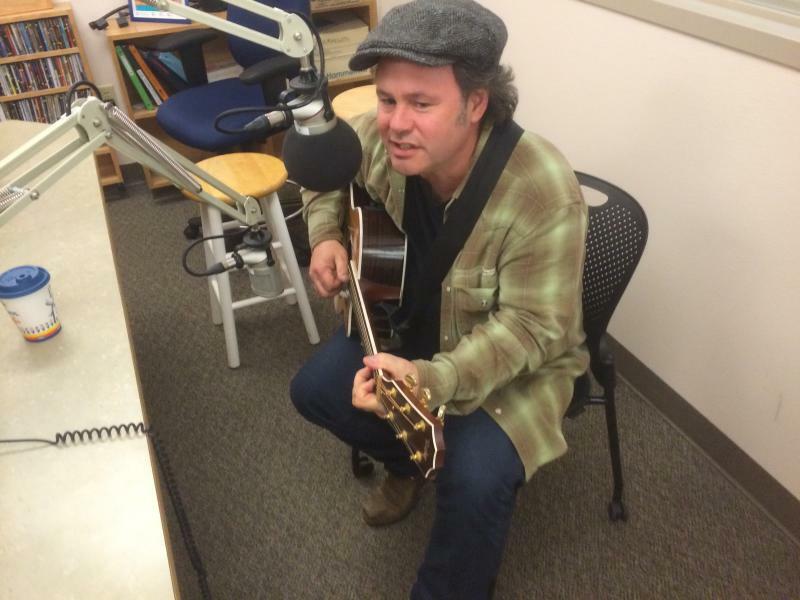 Wes Corbett teaches banjo at Berklee College of Music, where Jacob was the first full-scholarship mandolin student. 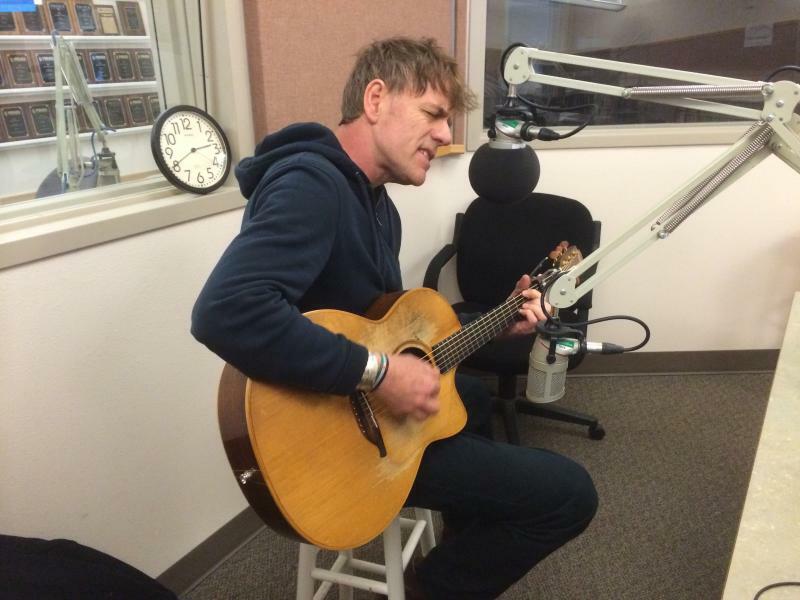 They stopped by the KLCC studios to perform a few songs before presenting a duo show at a house concert in Eugene. 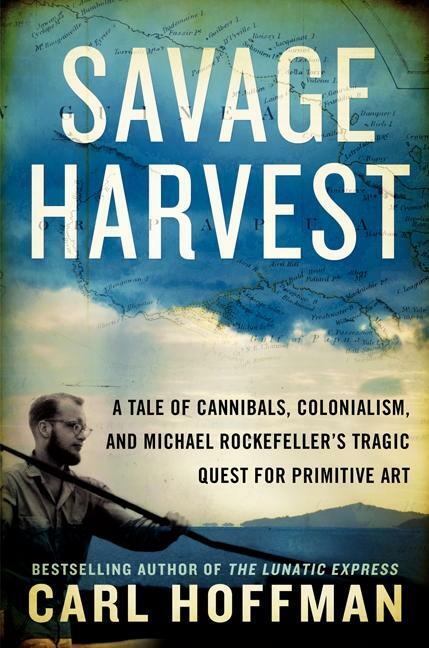 The book I’m reviewing this month – Carl Hoffman’s “Savage Harvest” – is a bit of a departure for these KLCC reviews. For one thing, this is the first time I’m reviewing an advanced copy – the book won’t be available until later this month. For another, award winning journalist Carl Hoffman, perhaps best known for his book, “The Lunatic Express,” isn’t a Pacific Northwest writer. However, he will be speaking at Eugene Public Library in a free talk on March 27th as part of his book tour. So I thought it well worth bringing this fascinating book to your attention. 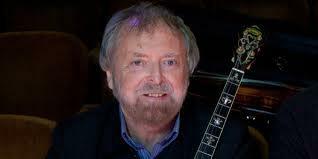 Mick Moloney opens the 11th annual Irish Cultural Festival in Eugene on Friday, March 7th. Moloney has recorded over forty albums of traditional Irish music, and was the recipient of the National Heritiage Award from the National Endowment for the Arts. 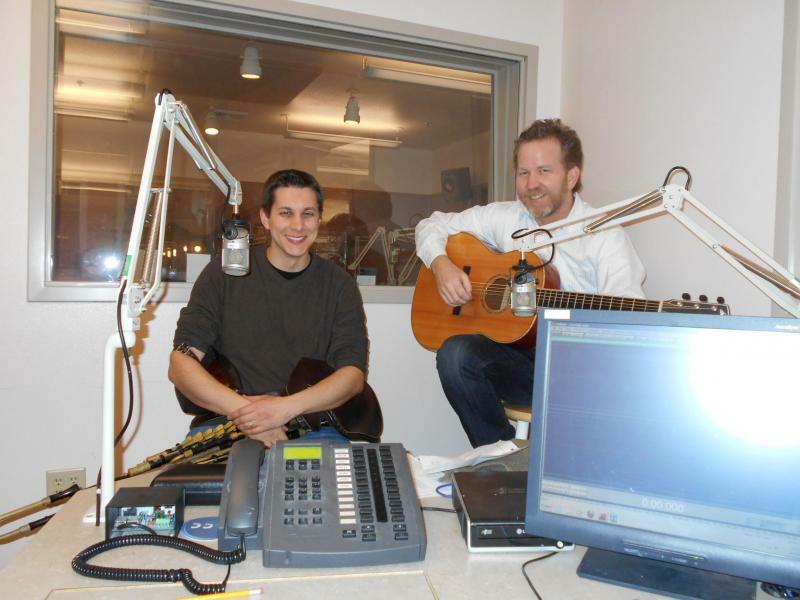 Mick Moloney speaks with Eric Alan about Irish music and culture, traditional and modern. Egyptian-American playwright Denmo Ibrahim based her play Ecstasy: a Water Fable on an ancient Sufi tale. 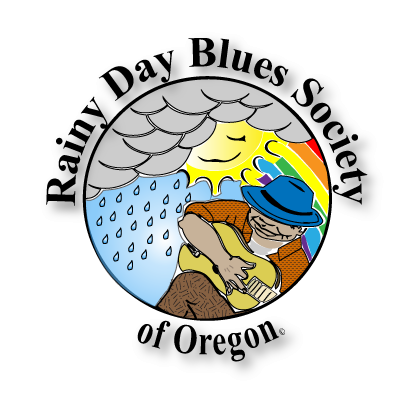 At the UO, it’s directed by Michael Najjar , and includes live music from the band Americanistan. Ibrahim and Najjar talk with Eric Alan about how an ancient fable is relevant to modern immigration issues, and to repairing a sense of disconnection shared across cultures and eras. Terry and Sandy review the exhibit "The Nakedness of the Subject" at Maude Kerns Art Gallery in Eugene. The new season at the Oregon Shakespeare Festival in Ashland celebrates the 450th anniversary of Shakespeare’s birth. 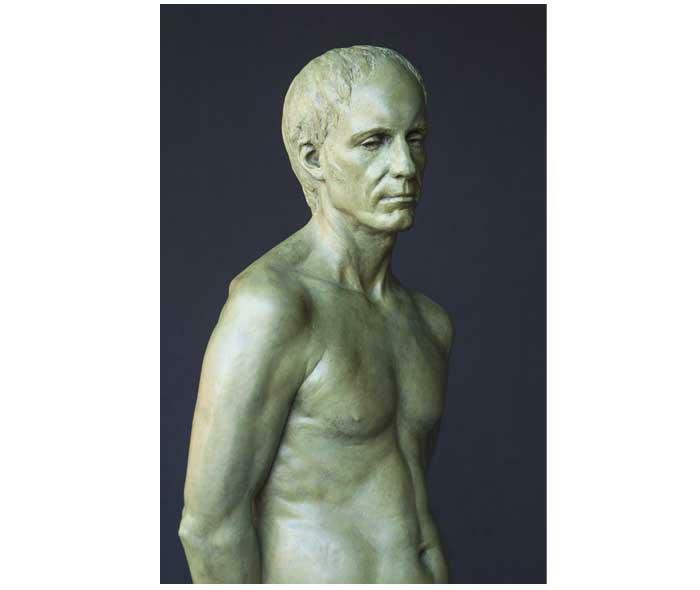 Included this spring are one of his earliest works, “The Comedy of Errors,” and “The Tempest,” the last play considered to be written by Shakespeare alone. 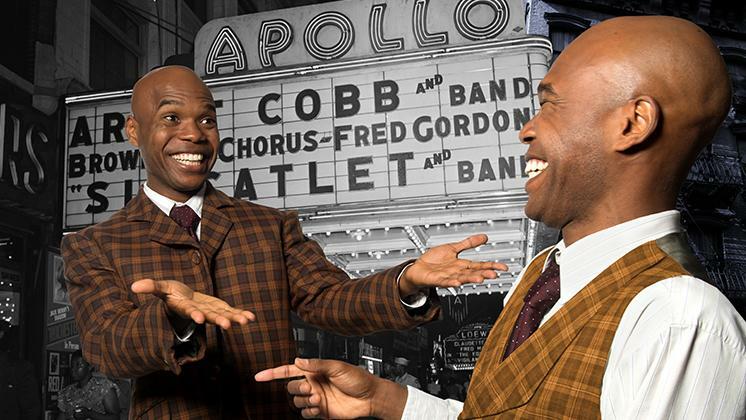 The Festival’s version of “The Comedy of Errors,” set during the exciting Harlem Renaissance in the 1920s and performed in the small Thomas Theatre, is the most endearing, funniest production of the play I’ve ever seen. Jazz at Lincoln Center has been dedicated to the performance, education and preservation of jazz for over 25 years, all with Wynton Marsalis as Artistic Director. Wynton Marsalis joins Eric Alan for conversation and music, before the Jazz at Lincoln Center Orchestra performs at the Hult Center on March 5th. Maude Kerns Art Center Presents "The Nakedness of the Subject"
The first Wordcrafters in Eugene writers’ conference will be held at the Eugene Hilton from March 7th through 9th, with a particular focus on fiction. Author Elizabeth Engstrom, a conference organizer, joins Eric Alan in the KLCC studios to preview the conference. Saxophonist, vocalist and songwriter Grace Kelly has already had a very accomplished career. She’s released eight albums, and played with a range of jazz luminaries from Dave Brubeck to Wynton Marsalis and Harry Connick Jr. Now, at the age of 21, her new album Live at Scullers is her most vocally-oriented release, and finds her stretching more beyond jazz. 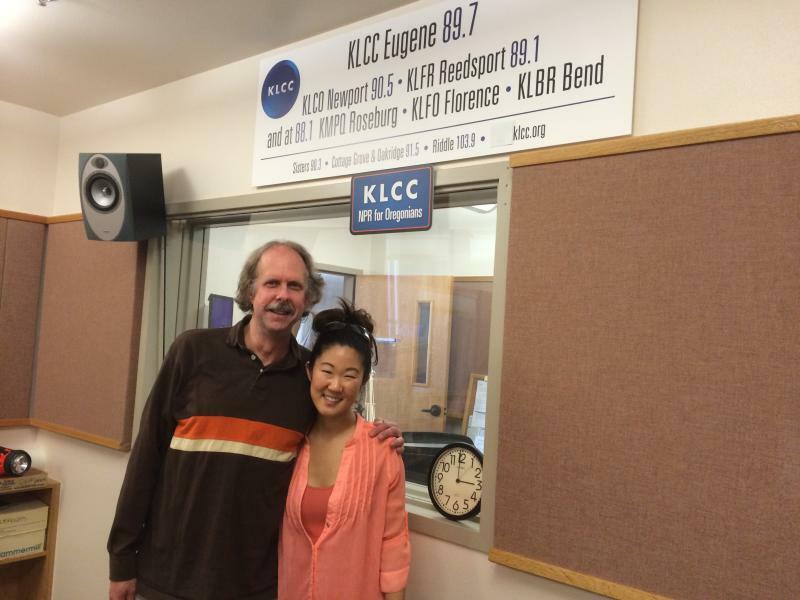 Before performing at the Jaqua Concert Hall in Eugene, she joined Eric Alan in the KLCC studios for music and conversation. 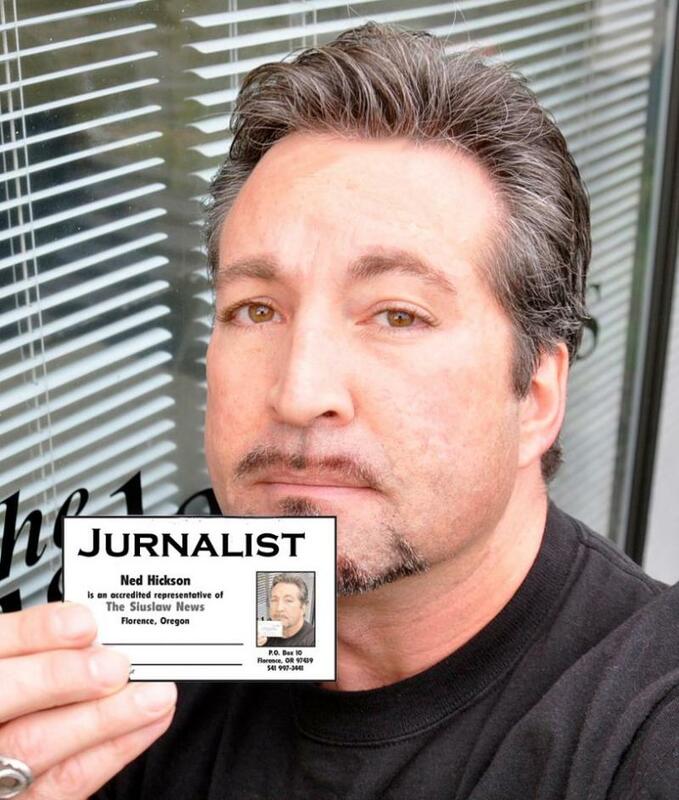 Syndicated humor columnist Ned Hickson has been awarded “Best Local Column” from both the Oregon Newspaper Publishers Association and the Society of Professional Journalists. 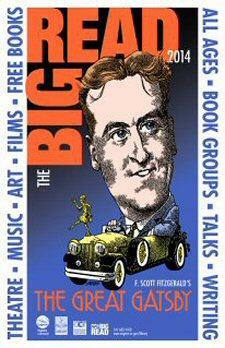 He celebrates the release of his book, Humor at the Speed of Life, with a roasting at the Florence Playhouse on February 28th. He speaks with Eric Alan about the Winter Olympics, the Academy Awards, and how blowing things out of proportion helps give perspective. Terry Way and Sandy Brown Jenson visit The Gallery and review the show. Country music vocalist Suzy Bogguss interprets the songs of Merle Haggard on her latest CD Lucky, continuing a long career that has featured platinum and gold albums, a Grammy award and a command performance at the White House. 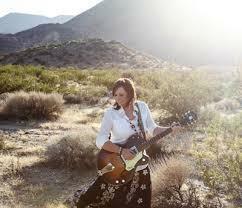 She’ll perform at The Belfry in Sisters on Friday, February 21st, and joins Eric Alan to talk about all things Merle. Ulleann (Irish) piper Eliot Grasso grew up with a houseful of Chieftains records and a family fascinated with traditional music. 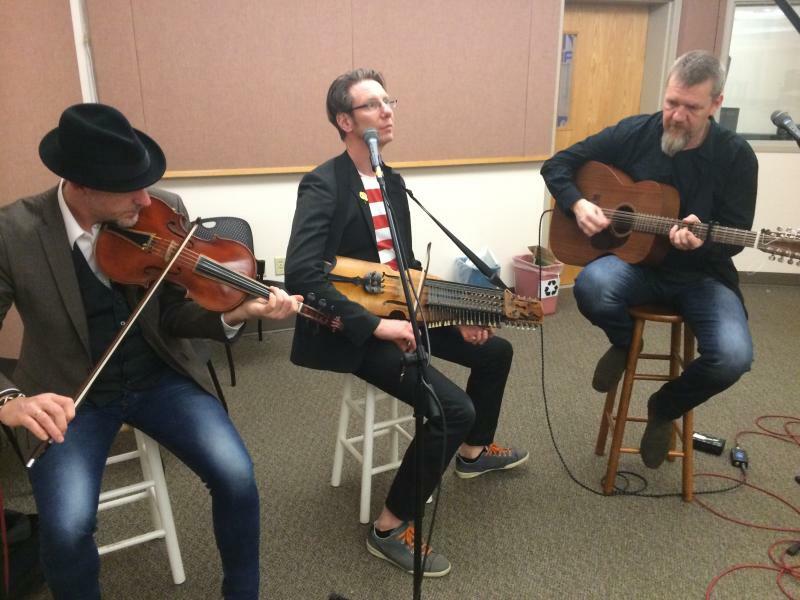 He'll be sharing the stage with Scottish fiddler Brandon Vance and guitarist Glen Waddell Tuesday, Feb. 18 at Beall Hall and Thursday, Feb. 20 at Hope Christian Church in Eugene.